I adore Summer. Nature returns to life and sitting outside are tranquil to the point at nighttimes. But I absolutely hate bugs’ bites, they sometimes just ruin the nights to force me running inside. Citronella candles may be able to keep mosquitoes away, but I hate the odor and it smells like chemicals. Fortunately, I found this simple trick which can definitely keep summer bugs away! The best part of this trick is that it’s cheap and easy to achieve at home with some household supplies. All you need for this project is a void plastic jug, cocoa sugar, warm water, and yeast and a tad bit of your time. 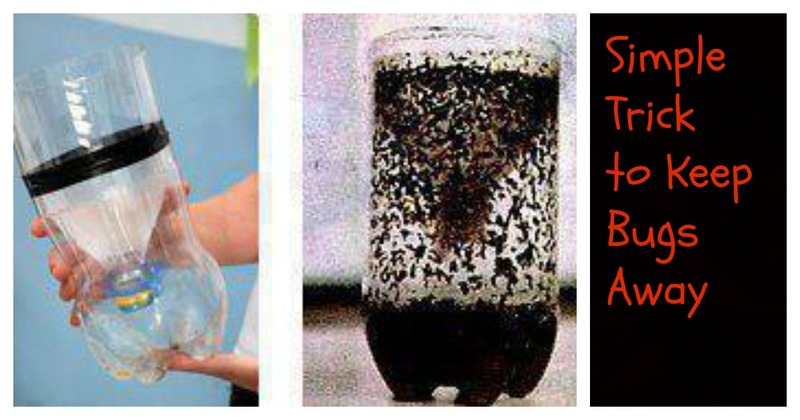 The video that you are going to watch below demonstrates to you proper methodologies to shrewdly make your own particular mosquito hack. Try this project, so you can appreciate sitting out on those excellent summer evenings. 1. Cut the plastic bottle in 3/4 half. 2. Pour warm water into bottle, then add brown sugar and mix. 5. Wrap the bottle with something black, leaving the top uncovered, and place it outside in an area away from your normal gathering area. Change the solution every two weeks for continuous control.